Canary Islands - short history with pictures. The Canary Islands were known to most ancient Mediterranean civilizations – Etruscans, Phoenicians, ancient Greeks and later to Romans. The first written notes about the islands are credited to Pliny the Younger – a respected Roman historian from the 1st century. In one of his letters he mentioned that the expedition of king Juba II to the Canary Islands encountered very fierce dogs. As the Latin word for dog is “Canis” subsequently the islands name “evolved” to their current name “Canary”. Well, as much as this etymology is an educated guess, the name Tenerife has much more evident roots. The maps from 13th century not surprisingly refer to the island as the Isla del Infierno (Island of Hell) in evidence of violent volcanic activity. However the modern days name Tenerife was derived from the local tribes’ words “Tene” (mountain) and “ife” (white) – a clear reference to the dominating the island, snow-capped volcano El Teide. Little is known about pre-Spanish era inhabitants of the islands – Guanches. Sadly they shared the destiny of many aboriginal people around the world - being decimated by colonizers and infectious diseases brought by them to which they have little or no immunity. Guanche did not have written language. The “remains” of Guanche’s spoken language – mainly names of sacred places, exhibit similarities with Berber languages (Northern Africa). This lineage is also supported by the recent DNA studies. The Spanish conquest of the Canary Islands started in 1402 – strangely enough - led by the expedition of the French explorer Jean de Béthencourt. He was acting for king of Castile – Henry III, who provided financial help for the expedition. It took years of fierce fights with locals till the Spanish Crown took the full control of the archipelago in 1483. Béthencourt described those times as “fuerte aventure” (tough adventure) giving also this name to one of the islands – today's Fuerteventura. The rest is a history….. Nothing better describes the importance of the Canary Islands gained shortly after the conquest as the fact that in 1492 Christopher Columbus stopped here for water and provisions for his historic voyage to the New World. Upper photos - tour across the Tenerife island. The Castillo de San Miguel (San Miguel Castle) - was built in the late 16th century. At that time thanks to the location at the “sea-crossroads” between Europe, far East and the New World, the Canary Islands were an important commercial center. No wonder that the surrounding seas were “infected” by pirates looking for an easy pray. The San Miguel Castle was one of many defensive structures in Canary Islands designed to protect inhabitants of small shore towns and their valuable assets from frequent pirate attacks. Across the island by night. From the left: Peaceful dead-end street in Las Galletas, Picture of the Watch Tower and street Christmas decoration in Los Cristianos, Night on the streets of Puerto de la Cruz. These scenes warmed up my heart with the stunning beauty of the visual message. The old saying “The simple is beautiful” was never so true as on these pictures. The calming effect overtook my soul softening the memories of the busy day, suddenly nothing was really important…..
Tenerife due to its great climate and many attractions (with towering the island El Teide’s on top of the list) is the paradise for tourists. The cosmopolitan area of Santa Cruz combined with the legacy of “old times” frozen on the streets of San Cristobal de la Laguna on the north of the island, the new bustling, seemingly never sleeping touristic centers on the south around Los Cristianos and Adeje, the beautiful Orotava immersed in the lush sub-tropical vegetation of the western part of the island – they are all well know places to be and to visit. But there are also more peaceful, secluded areas, not fully discovered by the outside world and thankfully preserving their own charm and atmosphere from the past. Think about Masca – a little hidden village surrounded by the mountains and forgotten for centuries, or Arguayo’s Museum of Ethnography, apparently located “on the way” of hoards of tourists but not recognized yet for its treasuries and lessons of history …. Volcano El Teide in all its majesty towers the Tenerife Island. 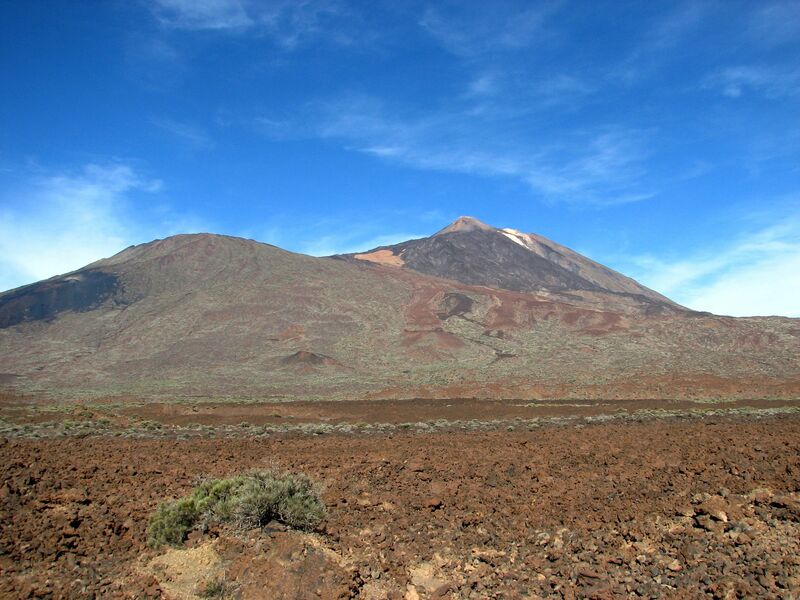 But the real treasure of Tenerife is its still pristine nature, well protected from “human-induced” activities. Did you ever dream about seeing the night skyline up there in the backdrop of El Teide? Far from lights’ pollution you feel like seeing the full depth of the Milky Way and well beyond…. Suddenly I felt so small, like a spot of dust in the Universe opening its secrets in 3D in front of my eyes….. No, I’m not even trying to describe my experience and feelings. You have to live this one alone, humbling yourself in silence, opening all your senses to fully inhale the Universe in its divinity offered to few.